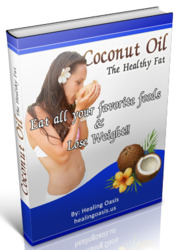 aPalm oil has arachidic of 0.2 and coconut oil has arachidic of 0.1. Sources: Canola oil: data on file, Procter & Gamble. All others: Reeves JB, Weihrauch JL. Composition of Foods, Agriculture Handbook No. 8-4. US Department of Agriculture, Washington, DC, 1979.
and the steam-vacuum deodorization process by D. Wesson made possible the industrial production of cottonseed oil and other vegetable oils for cooking (Kirshenbauer, 1960). Solvent extraction of oilseeds came into increased use after World War I and the large-scale production of vegetable oils became more efficient and more economic. Subsequently, hydrogenation was applied to oils to solidify them. The partial selective hydrogenation of soybean oil reduced the a-linolenic (LNA) content of the oil while leaving a high concentration of linoleic acid (LA). The LNA content was reduced because LNA in soybean oil caused many organoleptic problems. It is now well known that the hydrogenation process and particularly the formation of trans fatty acids has led to increases in serum cholesterol concentrations, whereas LA in its regular state in oil is associated with a reduced serum cholesterol concentration (Emken, 1984; Troisi et al., 1992). The effects of trans fatty acids on health have been reviewed extensively elsewhere (Simopoulos, 1995c). Since the 1950s, research on the effects of omega-6 polyunsaturated fatty acids (PUFA) in lowering serum cholesterol concentrations has dominated the research support on the role of PUFA in lipid metabolism. Although a number of investigators contributed extensively, the article by Ahrens et al. in 1954 and subsequent work by Keys et al. in 1957 firmly established the omega-6 fatty acids as the important fatty acid in the field of cardiovascular disease. The availability of methods for the production of vegetable oils and their use in lowering serum cholesterol concentration led to an increase in both the fat content of the diet and the greater increase in vegetable oils rich in omega-6 fatty acids (Table 3). 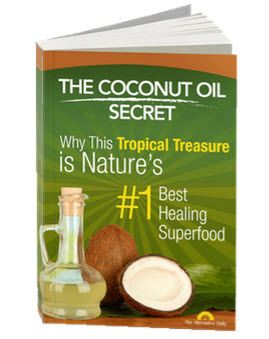 The coconut tree is one of the most versatile plants in existence. Whilst we are all familiar with the coconut as a food source not many of us know the myriad of other benefits the coconut holds.